A Personalized Height Chart is a wonderful addition to your child’s room. 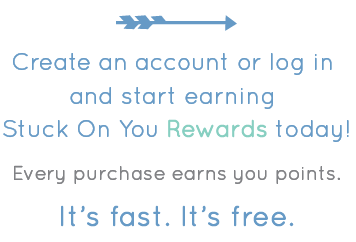 Because you have ordered from Stuck on You®, quality is assured as our height charts are printed with the highest quality materials and individually produced by our team. Our height charts come ready to hang and can chart your child’s growth up to 65''. Our Height Charts come in a range of bright, original designs and come personalized with your child’s name and date of birth. 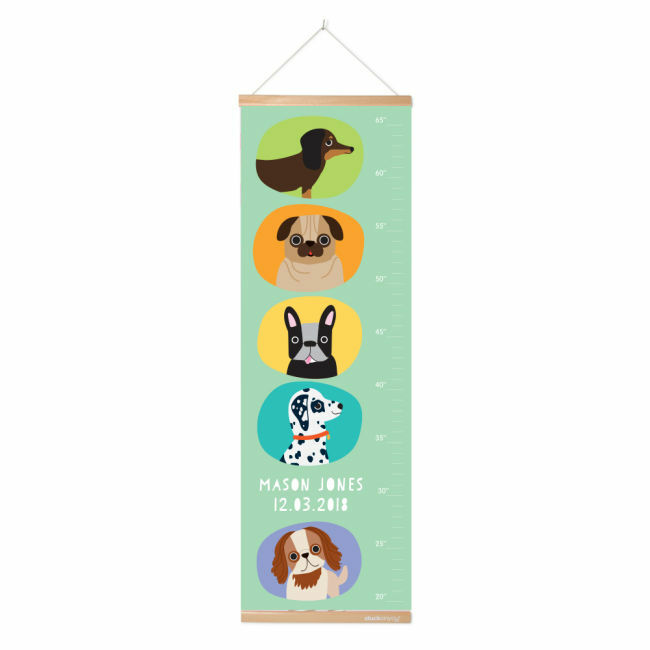 Each height chart comes with a pack of quality Stuck on You® lables that can be used to mark special dates such as birthdays, Christmas and things in-between. 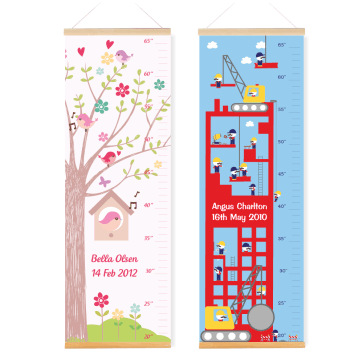 A Stuck on You® Height Chart is extra special as it includes the child’s birth date. This makes it perfect as a gift for a new baby or a young child and is sure to become a wonderful keepsake that is created as the child grows up. Looking back on how a child grows is a wonderful thing to be able to do. With a Stuck on You® Height Chart, there is no need to worry if you move house as unlike marks on a wall, our Height Charts can move with your family.